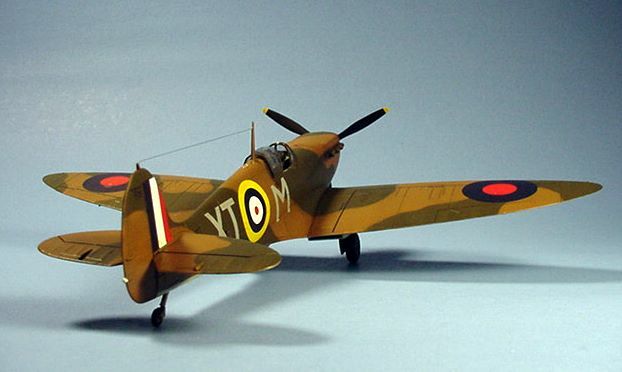 Another Tamiya kit, this time in the ‘B’ Scheme livery of a machine flown by Flt/Lt Richard Hillary, a native son of Melbourne, Australia while assigned to 603 Squadron. Victorious over Bf109’s in Spitfires L1021 and X4277 during the Battle of Britain, 6 of his 8 successful combats were flown in the latter. 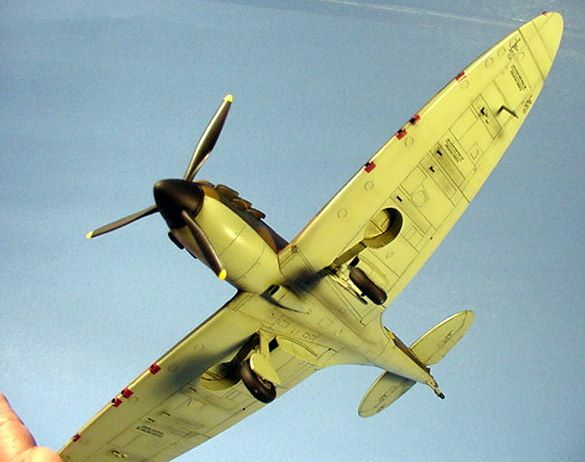 On September 3rd, 1940 he destroyed a Bf109E approximately 20 miles east of Margate and was set upon in turn by a 109 of II./JG26 and shot down over the Channel. X4277 quickly became a blazing inferno and Hillary was burned severely prior to baling out, though he was later rescued. After a long period of treatment by famed reconstructive surgeon Dr. Archibald McIndoe, and writing a book called The Last Enemy during his recovery, Flt/Lt Hillary returned to operational flying in night fighters in late 1942. Tragically, he and his navigator lost their lives on January 8th, 1942 while on station flying a Blenheim in poor weather, the crash attributed to ice build-up on the airframe. 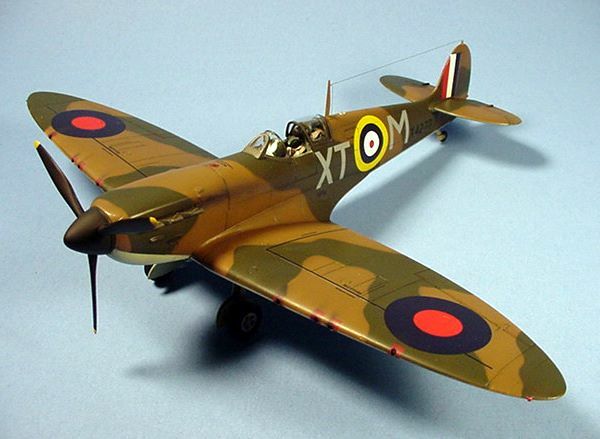 Very nice model of a childhood hero of mine’s aeroplane Read his book in grade 8 in Canada. Where did you get the decals to do the kit?